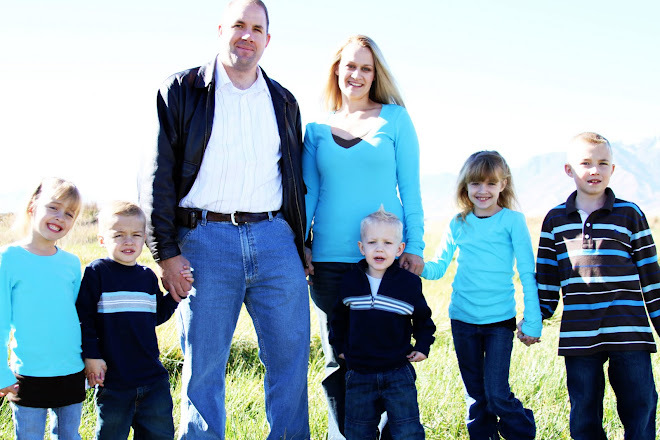 The Rasmussen Family: Bear Lake Fun!! 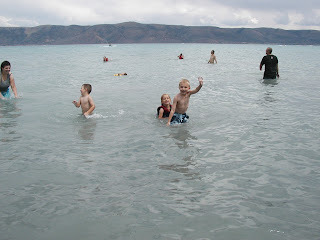 Saturday we took the kids to Bear Lake and had a blast! 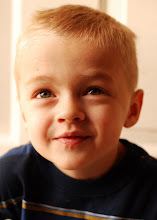 We went with Caleb(Codys Brother), Brandon and Amber and some of their family and friends. 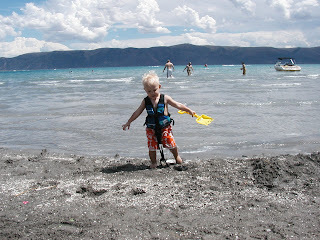 I was worried about the weather because the forecast for bear lake was calling for 50% chance of rain. So we thought for sure it was going to rain on us. It started out a little chilly when we arrived but turned out to be a gorgeous day. I think it was only about 80 degrees and there was no rain or wind. 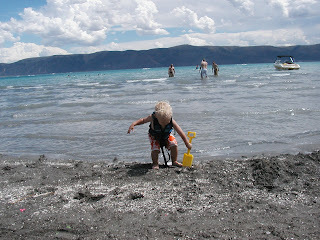 The kids enjoyed playing in the sand and the water. 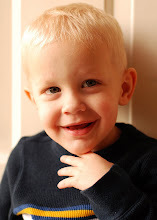 Cameron was soo cute! I thought he was going to hate it but we couldn't keep him out of the water and sand. Brandon and Amber brought their wave runner and that was great. We all had a chance to ride it and Cody gave all the kids a ride on it as well. 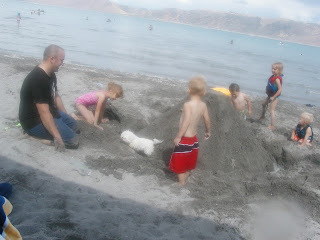 It seems like whenever we go to Bear lake we get hit with a sand storm at the same time. At around 5pm the wind started to pick up. It came out of nowhere. We tried to grab all of the kids and our stuff before everything blew away. We didn't lose any children or stuff to the wind thankfully. Remind me to check the days that we go next time. It was Raspberry Days at Bear Lake this weekend and the traffic was crazy! I guess that is a big event there. We were hoping to stop at the Famous La Beaus and get a yummy raspberry shake, but because of the crazy traffic we decided to pass on that idea. Luckily there is a La Beaus in Logan too! Yay! We stopped there and indulged a little. Those shakes are to die for! So good! So all in all we had a wonderful time, the kids were tired and worn out by the end of the day and there was sand all over us and in our car, but its all worth it. Thanks to everyone who went with us!! 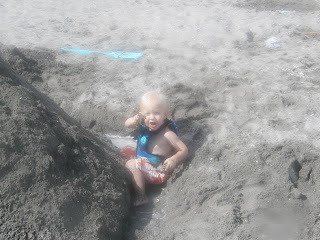 Cameron loved digging in the sand! He kept going over to the people next to us and stealing there trucks though. Next time I will have to bring his own! 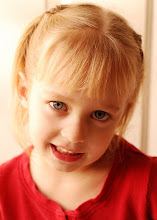 I thought this was a cute picture. 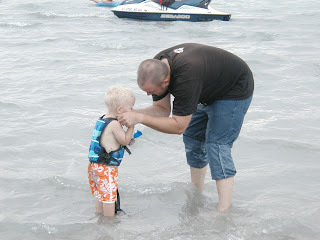 This is Uncle Caleb washing the sand off of Camerons face. Some of the kids having fun in the water! Jacob, Alyssa and cousin Chase! Cody said Cameron loved the wave runner. 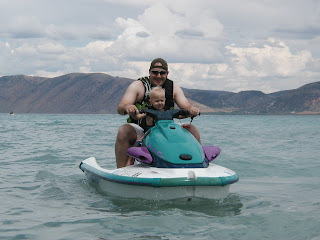 Every time they went over a wave, he squealed with joy! 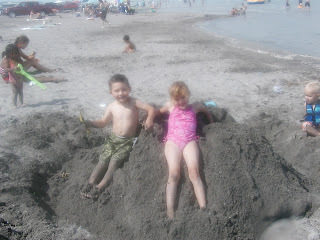 kids building a sand mountain! 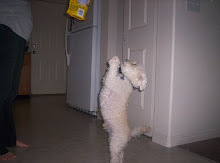 We put the dog on top after. 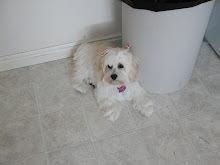 She didn't like it too much. Miranda and Chase having fun! 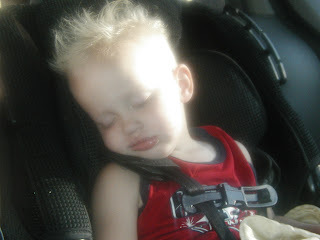 Cameron was soo tired he zonked out right when we got in the car. 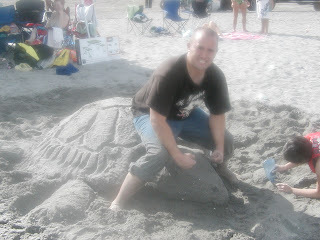 Caleb and Cody got creative and made a big Turtle out of sand! The kids thought that was pretty great. So fun!!! I love going where there is water and sand. It looks like you all had a great time. You gotta love those sand storms. It makes my eyes hurt!! looks like so much fun! i would love to go there sometime with all of us family. 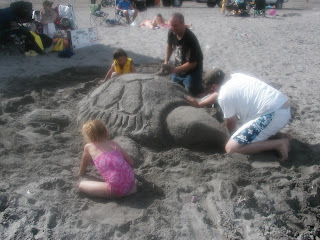 That turtle was awesome! I wanna come too:( I miss you guys already.